the UK's leading institution for the promotion of traditional beats! "Verily in remembrance of Allah, do hearts find rest" ~ Surah Ra'ad. 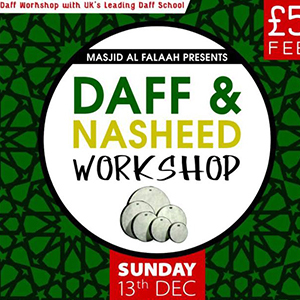 Our Daff lessons are not only focused on the drum as an instrument of entertainment, but as a means to ignite yearning through praise of Allah and His Beloved, Prophet Muhammad (peace be upon him). As one of our contemporary scholars eloquently stated, "those who play the daff (with songs of Praise) are making salawaat with their hands!" Part of our mission is to revive the creative spirit within the Muslim community and to appreciate the strong artistic heritage found within Islam. While understanding the Divine Rules placed on us, there are also many permissable opportunities we often overlook. The daff is one such wholesome alternative which when played with the right intentions, alongside songs of praise is not only a wholesome alternative to music but can also enhance our religious experience. We offer a continuing growth of projects which focus on inspiring reflection amongst all ages, genders and communities. Reflection brings about a more wholesome understanding of the world around us and our place in it. Our team channel this understanding towards a creative and constructive output and hope our students and supporters join us too! Are you a school interested in educating your student's about the daff? 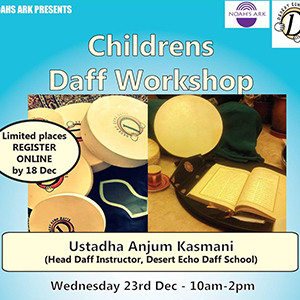 Whether a Muslim school seeking to set up regular daff classes, an educative assembly on the tradition of the drum or a state school seeking a one off workshop on the traditional drum, we are at your service. Most of our workshops are run in different communities around the UK. From Preston to Portsmouth, Leicester to Woking, we travel nationwide to teach workshops and deliver lessons to young and old alike. Organising a Daff workshop in your locality with us is a great way to get everyone together! After one-to-one classes? Worry not! We teach private tuition to students on the ground and online. With a growing number of international students, our Daff Instructors are kept busy. All one to one classes also come with exclusive revision videos, to keep your fingers fresh on the beats! Where is our daff cruiser rolling and when? Look no further! Anjum Kasmani grew up in London, England. She began playing the Daff at the age of 16 and freestyling at traditional gatherings. In 2007 Anjum moved to Jordan for a year where she studied the shaami daff melodies with Ustadh Nidal, a reputable Munshid. While in Jordan she was asked to teach women and children in the area. On returning to the UK, Anjum founded Desert Echo Daff School and began teaching the Daff professionally throughout the country. Anjum's passion for the daff, love for teaching and curriculum development experience led her to create the UK's first structured syllabus for playing the Daff to classical nasheeds. She now continues her own training with professional frame drummers alongside teaching private students & regularly travelling the country for workshops. Anjum also manages and performs with Desert Echo Munshidaat and heads up The Daff Shop project. Ustadh M. Zaki Ismail is of Singaporian descent. He graduated from Madrasha Al Junaid Al Islamia before moving to Damascus, Syria for 6 years, to continue his classical Islamic studies. Ustadh Zaki has been playing the daff for 15 years, most primarily playing in gatherings in Syria. After his time in Syria, Ustadh Zaki moved back to Singapore where he continued his role as a munshid and daff player with the band Madih Ul Mustafa. Ustadh Zaki’s speciality is playing the ‘Andalucian’ melodies – light yet complicated finger compositions on the daff. He now lives in London with his family, where he also manages and performs with Al Qiblah Ensemble. Ustadh Zaki currently teaches Level 1 and Level 2 Shaami courses for brothers at The Daff School. Zaynab James, originally from Liverpool, converted to Islam in 2001. In 2003, Zaynab travelled to Tarim, Yemen and lived there for 7 years. Zaynab took her first drum lesson in 2005 with the Ba-Shu'aywuth family and was given permission by her teacher to teach the Burda and Qasida's according to the Hadhrami tradition. She specialises in playing the daff to Qasida Burda, the infamous Poem of the Cloak. 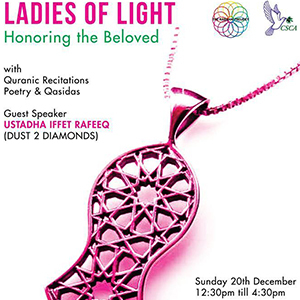 Since returning to the UK in 2010, Ustadha Zaynab has been performing nationwide in England and South Wales in gatherings of praise and has gained a respectable reputation specifically for her Burda beats. She teaches our Yemeni syllabus and Online Burdah Course alongside joining Ustadha Anjum at Daff workshops in the North. Our Skype Classes enable you to learn the Daff with a professional instructor from the comfort of your own house! Wherever in the world you are, we can get connected! Small group classes are ideal for siblings / friends. We come to your locality, to drum up some fun! 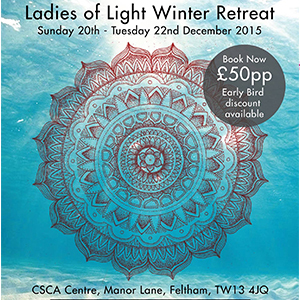 There are also regular classes in London. Ideal for schools, scouts and community groups, for between 7 - 35 students at a time. We travel nationwide (UK). International queries welcome. Our assembly on the daff / traditional Islamic songs is ideal for schools. Half an hour or one hour, we bring you the dynamic daff speakers, you bring forward the fresh faced students! Extra-curricular co-ordinators, you've hit jackpot! Our after school clubs are a great way to get the kids drumming up some fun and letting our their built up stress of the week! 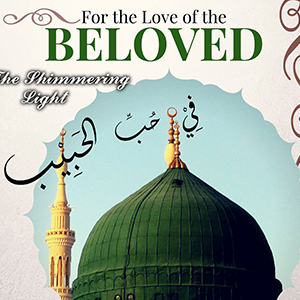 Our exciting new intiative to encourage young Muslims to engage in wholesome expression. Want a choir set up in your community or school? Get in touch! WE BELIEVE OUR STUDENTS SPEAK BEST FOR US. HERE ARE SOME OF THEIR TESTIMONIALS. Wedding or religious function, be inspired by our classical Daff beats and songs! Our popular daff shop is awaiting your order! 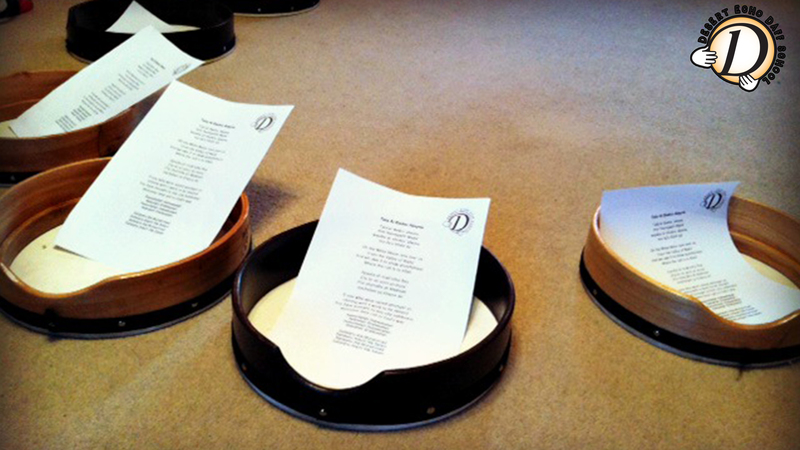 Real skin drums, from 8" (kids size) to 18" (performance size). 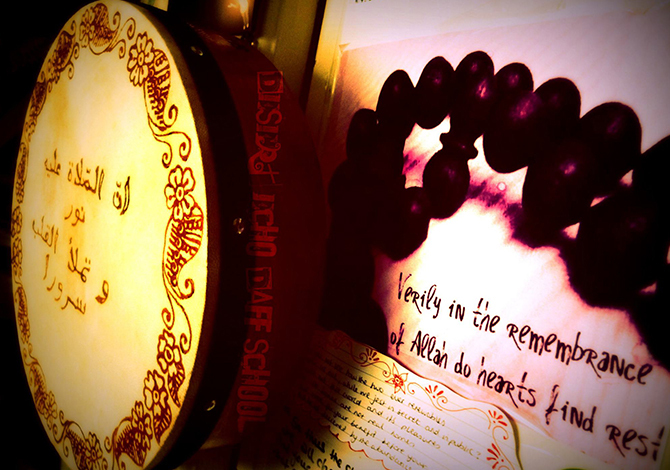 We stock an inspiring collection of poetry, dhikr and drumming related books & CD's. We partner with Mehndilicious Artists to create bespoke drums. Looking for a unique gift or wanting to jazz up your own drum? Your search ends here! © Copyright 2014 by Desert Echo Daff School. All Rights Reserved.